Note that is page has been updated on March 30, 2011. 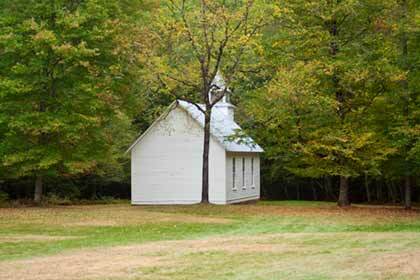 Cataloochee is not as easy to get to as other driving locations, such as Cades Cove, in the Smoky Mountains National Park. Cataloochee is located in North Carolina and is about 2 hours from Gatlinburg, TN and about 1 1/2 hours from Cherokee, NC. The road in the Cataloochee part of the park is paved, but the road leading to Cataloochee is a rough gravel road with several sharp turns and steep sections. All of which makes Cataloochee less visited than other sections of the park. 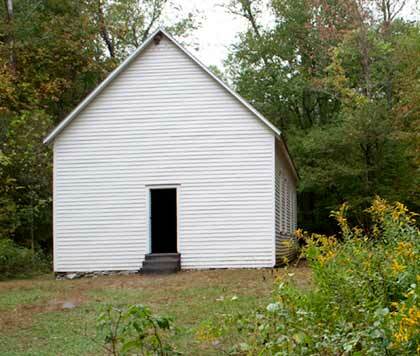 There are several well maintained buildings in Cataloochee including a church, a school, and several residences. These are all that remains of what was a thriving mountain community. The elk herd is one of the main attractions in Cataloochee. 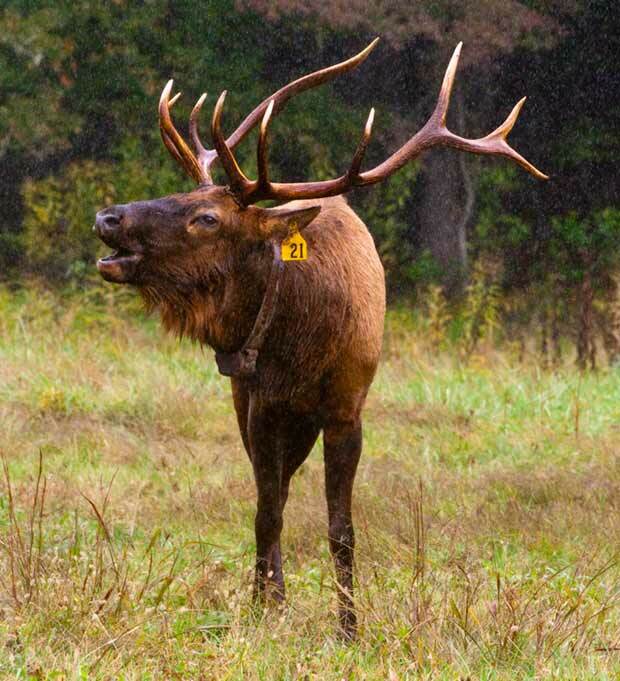 The herd is an attempt to reestablish elk in the Great Smoky Mountains. 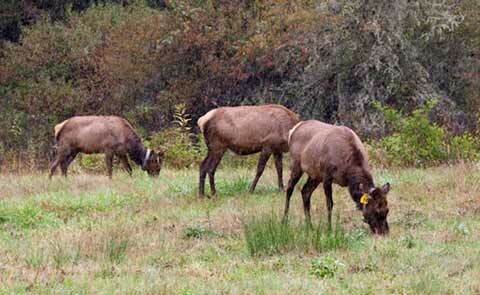 The herd was started with elk from The Land Between the Lakes National Recreation Area. The herd has grown from an initial 52 animals to about 110 (2009 count)--about evenly divided between bulls and cows. When we were there in September 2007, the bulls were bugling and trying to gather up harems. The elk came out of the woods in the late afternoon when we were there. They are a impressive sight. The bulls spent a lot of time looking to impress the cows and keep other bulls away. The cows tended to stay close to each other. This bull seemed to be taking a more relaxed view of things that the other bulls we saw. He eventually did get up, and bugled to let everyone know he was around. 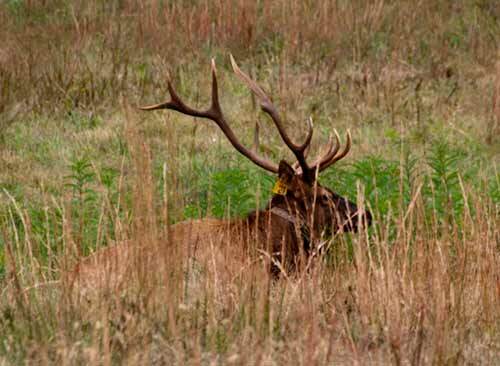 According to NC Elk the experimental phase of the elk introduction ended in December 2008. A decision on what happens next is scheduled for sometime in 2009. UPDATE:In 2010, according to NC Elk, the Park Service determined that the experimental phase was a success and has moved to a long-term management phase. 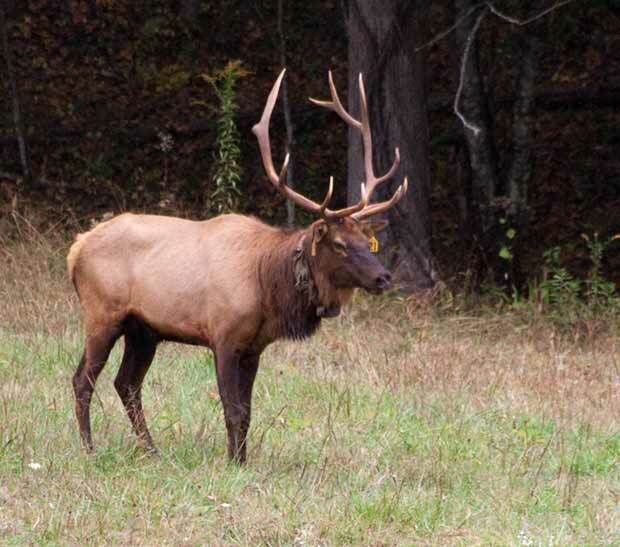 Looks like the elk may be in Great Smoky Mountain National Park to stay. (If the poachers can be kept out.) The 2010 count is 125 elk in the park.